‘Waiting For Woden’ – Connecting deeply with our ancestral heritage. 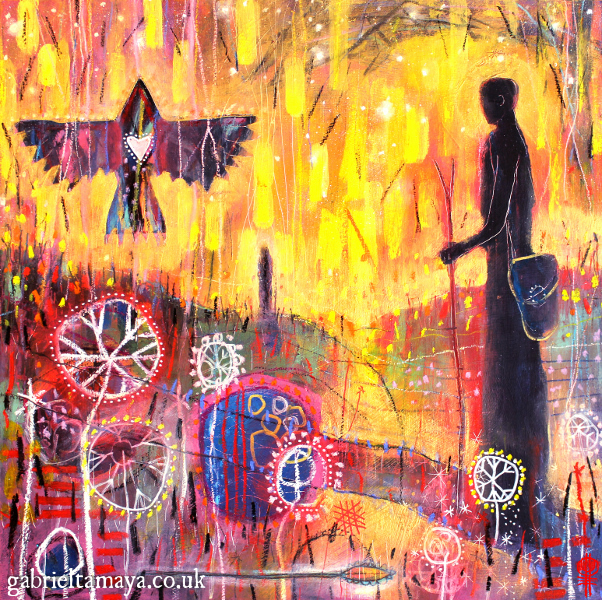 This painting is taken from some journey work exploring an ever deepening connection I have both been feeling and actively growing with the spiritual practices of my ancestors. It is something that has been growing ever so slowly, with many misconceptions needing to be unraveled but I have finally reached a gentle tipping point. Even my first steps in formal shamanic training came from another cultures elders (South American,) as at the time it was the most authentic and unbroken lineage of shamanic teachings I could access. My training and apprenticeship was very thorough and truly transformative, for which my teachers will always have my gratitude and whom without which I would not have been able to dream this wonderful life that I now live. However, finally connecting with my ancestral lineage has been one of the most gently powerful, moving and profound experiences I have had to date. It is not something I can put into words, but this painting captures this feeling in some small way. 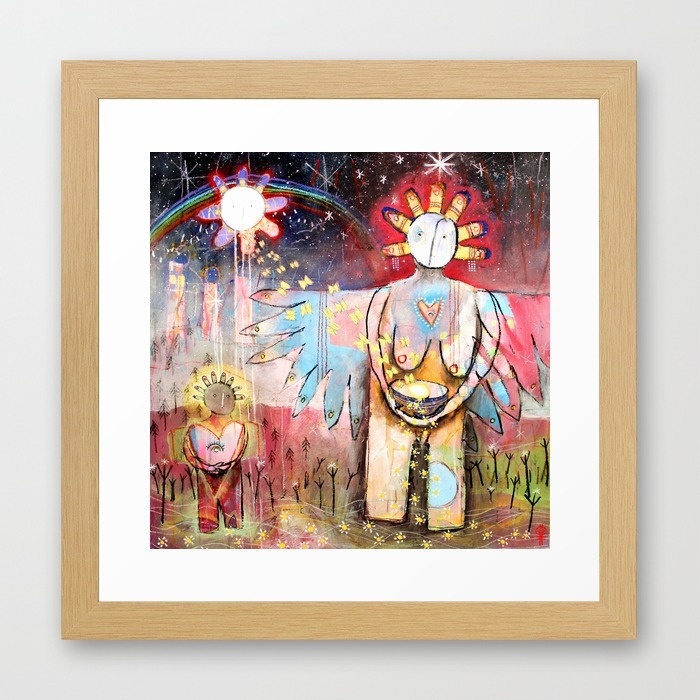 The painting’s message in part is one of having confidence and faith in your own ancestral spirituality, to call on this and make a place for it in your life even if you walk primarily a path that is of another cultures. Wishing you all many blessings from your ancestors on your path! Size: 20.5 x 20.5″ (35cm x 52cm) approx.